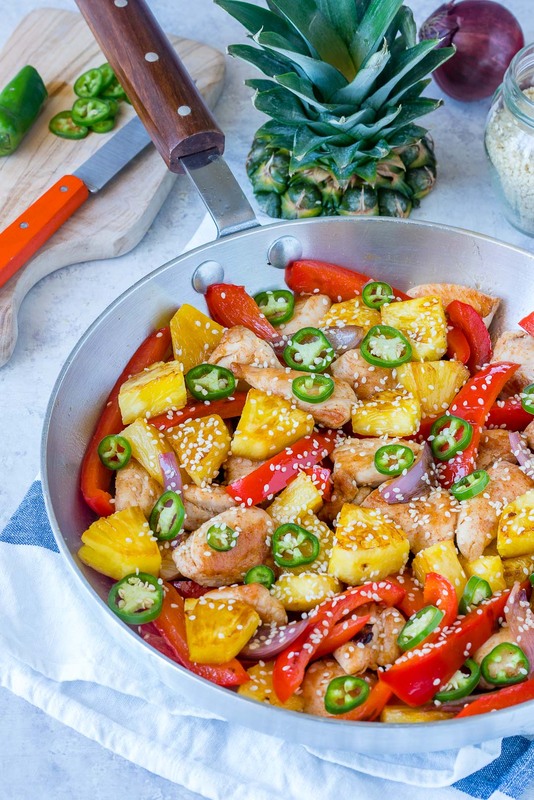 A FAST Sweet N’ Spicy Pineapple Chicken Skillet Clean Eaters LOVE! Heat 1 Tbsp. oil over in a large skillet medium-high heat. 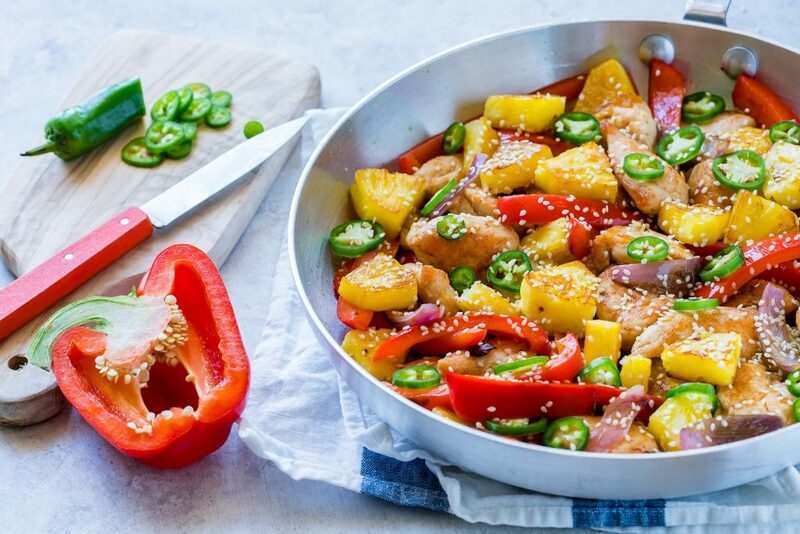 Add garlic and chicken to skillet, sea salt and pepper to taste, then sauté for about 5-6 minutes or until chicken is cooked through, and browned on both sides. 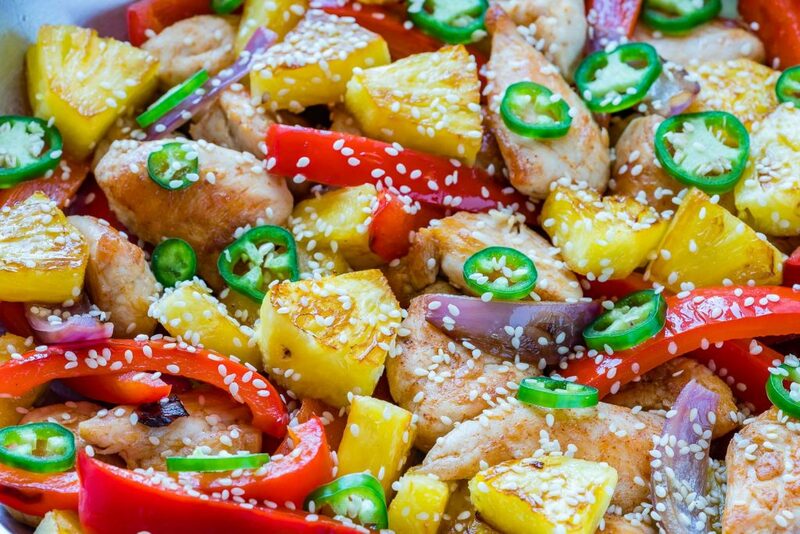 Remove cooked chicken, and set aside. 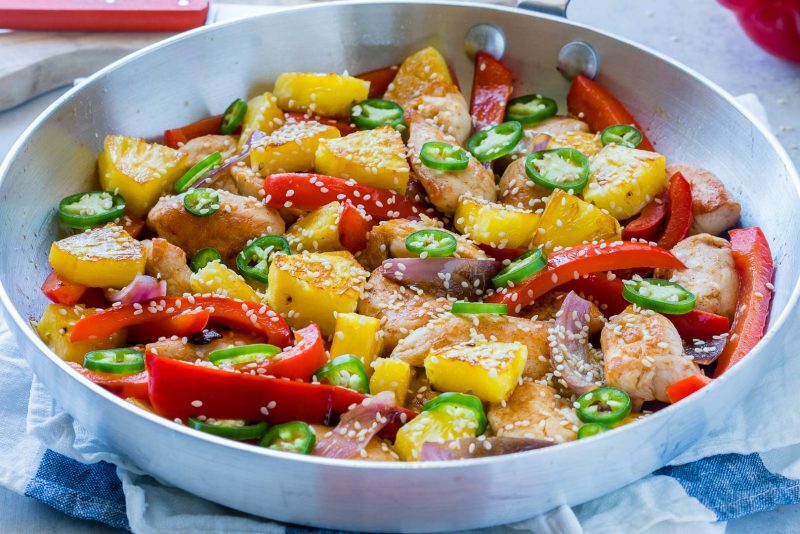 In the same heated skillet, add remaining Tbsp of oil, red bell pepper, pineapple and onion. Stir fry for about 3-5 minutes, stirring occasionally, making sure nothing sticks to the pan. 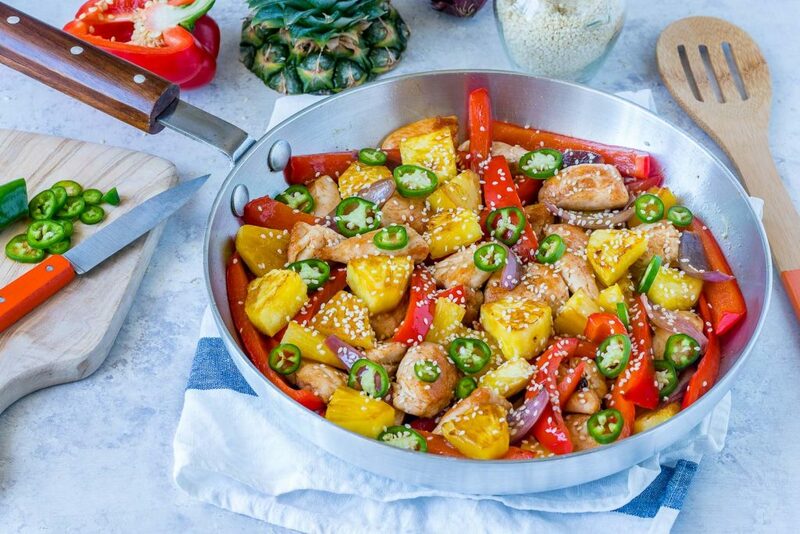 Return the cooked chicken to the pan, and add the sliced jalapeños. 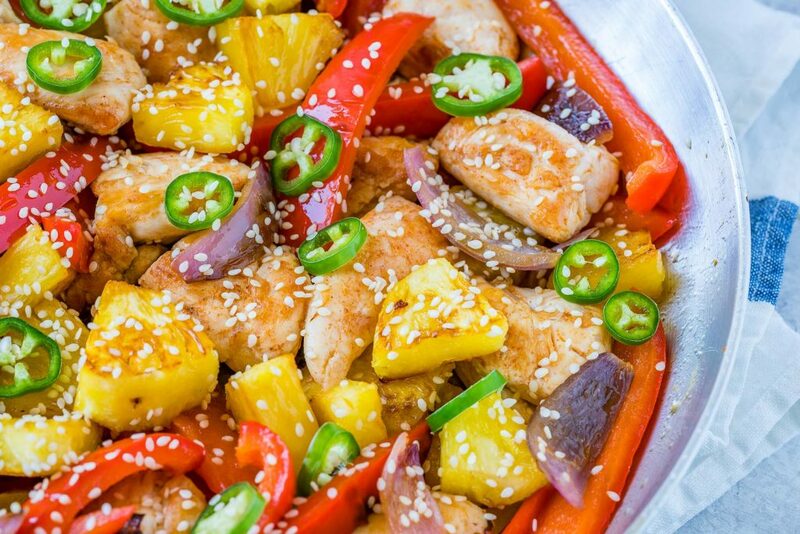 Pretty darn easy to make and SO yummy. Seriously, you’ve gotta try this!